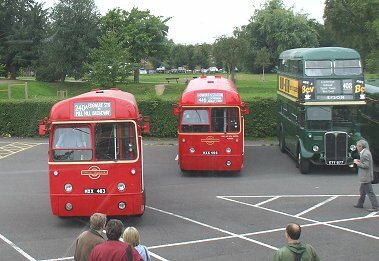 Prepared by Ian Smith, 15th September 2010. 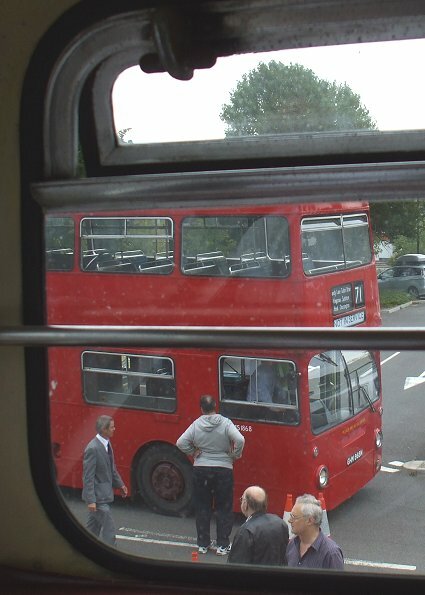 XF3 does not have a seat behind the bonnet, so I went upstairs, and squeezed into a seat near the front. 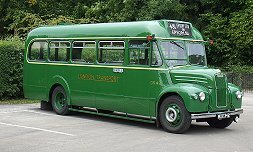 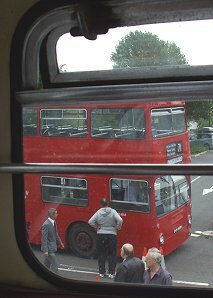 It was not the only Fleetline present: Londoner DMS1868 had just arrived to work on the 71, and pulled round into the bus-park. 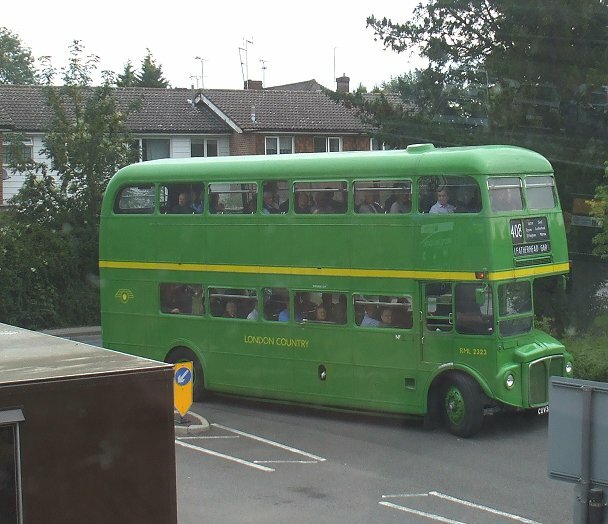 While we loaded up another couple of buses arrived: London Country light green RML2323 with a full load from West Croydon, and RF486, still wearing blinds from the previous weekend's frolics at Colindale. 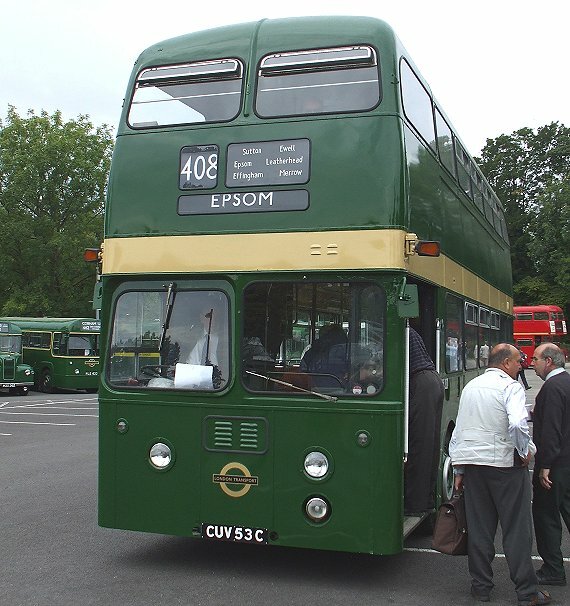 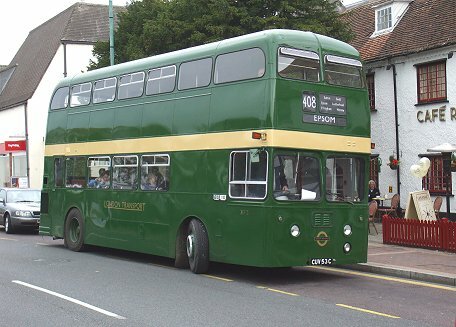 We set, and the deep rumble of the big rear engine propelled us up the hill and east out of Leatherhead. We purred eastwards through Ashtead, and into Epsom, where we pulled up near the Epsom Clock. 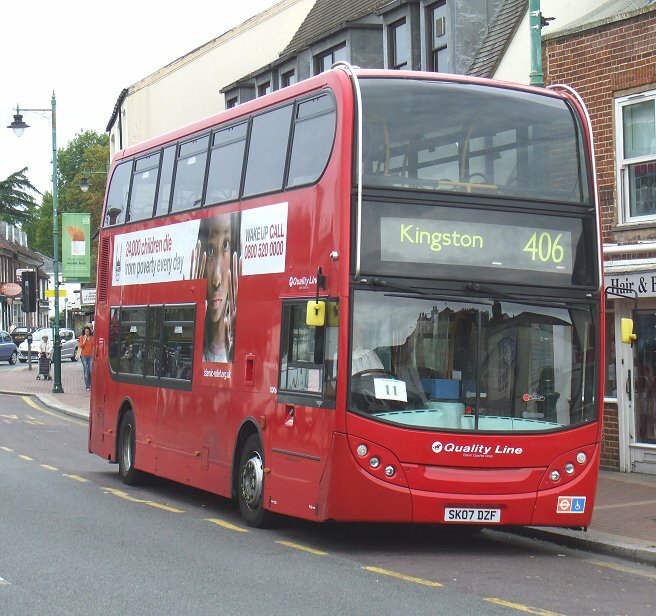 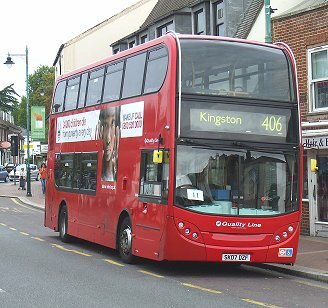 At the next stop back stood Quality Line's EnviroTrident DD06, waiting to return to Kingston. I rejoined XF3 and we circled round the Epsom one-way system and headed back to Leatherhead. A sprinkling of rain spattered the windows, and I regretted not bringing my old film camera. 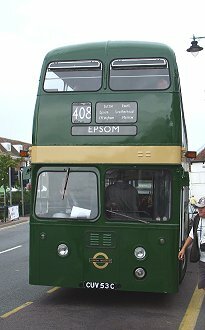 That has manual focussing and a wide lens, so can see through rainy windows, whereas my little digital camera is autofocus, and tends to choose to look at rain-drops rather than buses. 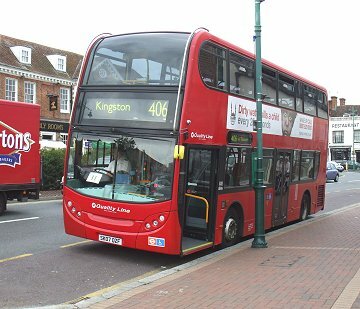 Back at Leatherhead I hopped quickly off the XF, and just made it onto RF315, which was just leaving on the 432..